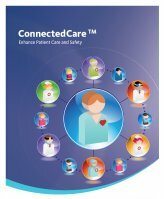 ConnectedCare™ securely and seamlessly transfers core information between health providers. Medtech ConnectedCare™ is an innovative and intelligent forms based technology that dynamically and securely captures information from a Patient Management System in a standards based format. It seamlessly communicates health information across the sector providing a consistent degree of availability while assuring the highest levels of clinical safety. Secure access to patients' health information from a single source ensures reliability. ConnectedCare™ is all about options while providing the highest degree of availability. ConnectedCare™ uses standard interfaces that can be adopted by any PMS vendor. Sophisticated business rules powered by the Idiom Decision Manager. Data retrieval from the PMS. Output messages that conform to established standards. Transport neutral message transmission to a DHB.